We return to the stunning shores of South India and the close-knit community of The Good Karma Hospital, which is back for its second series on ITV. 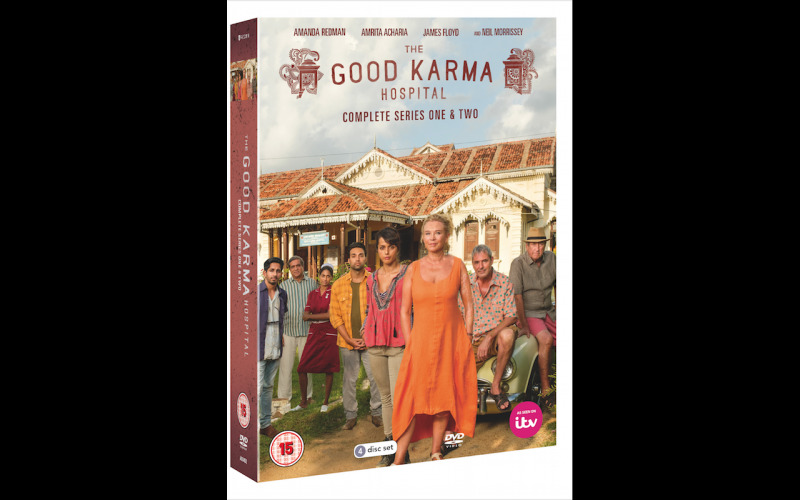 To celebrate the release of The Good Karma Hospital Complete Series One and Two DVD Box Set on 23 April 2018, we have 14 DVD Box Sets up for grabs thanks to Acorn Media International. Series Two will also be available to buy on DVD. Amanda Redman is back as the formidable Dr Lydia Fonseca, head of the run down, but resourceful medical centre in the tropical Indian coastal town. Alongside her hardy team she’s ready to face new challenges. It’s a year since junior doctor Ruby Walker (Amrita Acharia) moved to Kerala looking for a fresh start and a distraction from her broken heart, and now settled in her new life it’s time for her to take on more responsibility. When a storm hits and the hospital’s generator fails, Ruby’s new found confidence is put to the test, will she make the right decision or has she been pushed too far? A surprise connection to her Indian family gives Ruby a deeper understanding of her heritage and brings her closer to Dr Gabriel Varma (James Floyd), but she must decide if she’s ready for romance. Neil Morrissey returns as Greg, a local bar owner and Lydia’s on-off boyfriend. After trying to make a go of things at the end of series one, the couple realise they might not be on the same page when talk of marriage arises.